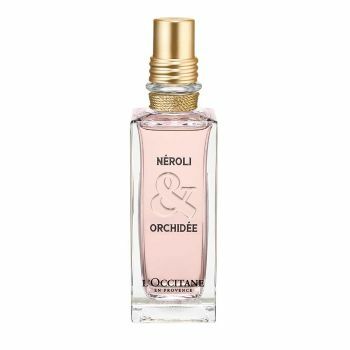 A tantalizing and lovely perfume born from the union of neroli and orchid. A heart of radiant neroli essence from the Mediterranean is blended with caressing white orchid absolute from Madagascar. Fruity bursts of orange and heart notes of peach complete the sensuous bouquet.